Traditional oat groats... EASIEST EVER no cook technique! I said I had a recipe for you... well this is barely a recipe, more a technique, but it has been a game-changer for me and it's now the only way I like to eat my oats ever since I returned from Lanzarote. Oat groats! 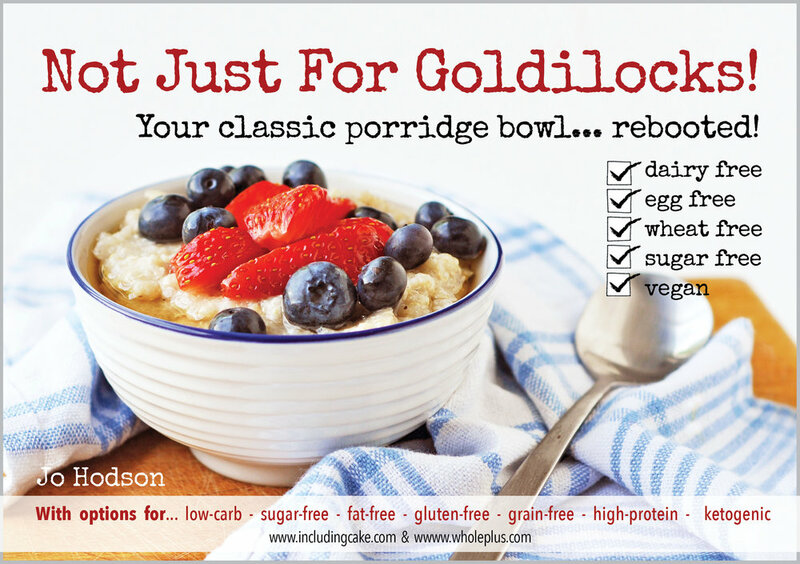 Have you tried them, or like me had you been put off by the fact they take so much longer to cook than regular oats? I'll admit that I have had a bag sitting in my cupboard for over a year (do they go off?!?) and hadn't got round to using them simply because I was more familiar with regular rolled porridge oats. Whilst on holiday, I noticed that my host, Daniel, was wrapping a saucepan in a towel! Well, I was intrigued to say the least and he explained that every evening he brings a large pan of oat groats to the boil and then turns off the heat and wraps the pan in a thick towel overnight.... by the morning the oats are fluffy and ready for everyone to eat. It's 'overnight oat groats' - Genius! Here are the oat groats in their raw form pre-soaking. wrapped in a towel- love it! I knew immediately I wanted replicate this breakfast technique as soon as I got home, and though I love the towel wrapping idea I figured there might be an easier option to keep on the kitchen worktop. Any flask might do but a food flask is definitely best since it is shallow and wide instead of tall and narrow like a drinks flask is. I imagine a slow cooker or rice cooker would also work well but I haven't tried this method. I made enough for two portions and kept the second portion in the fridge for the following day. Rinse the oat groats and add them to a food flask (or similar container that will retain heat for a few hours). Add boiling water and briefly stir through the oats. Twist the lid on the food flask and let sit overnight (or min 4 hours). In the morning they should be fluffy and ready to serve warm or cold. To serve, I simply spooned a portion of the porridge into a saucepan (drain off the soaking water) and warmed it on the stove for a couple of minutes with the non-dairy milk plus a little vanilla or cinnamon. You can add a touch of sweetener if you like, then pile into a bowl with toppings of choice. You culd also serve this cold in the style of traditional 'overnight oats'. Mix-in and topping ideas: cinnamon, vanilla, cocoa, sugar-free jam or nut butter, hemp seeds, protein powder, chopped nuts, flax, fruit, chia jam... I often add baobab powder or maca root for an extra boost in the morning! Sooooo good and sooooo easy! 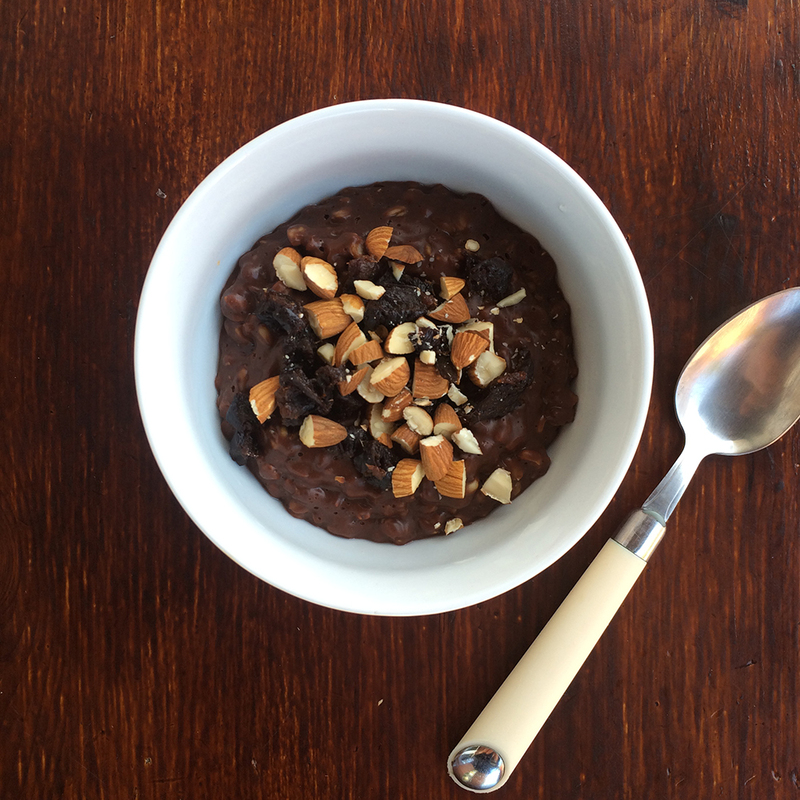 Have I inspired you to take your porridge to another level? Or are you already an oat groat connoisseur! 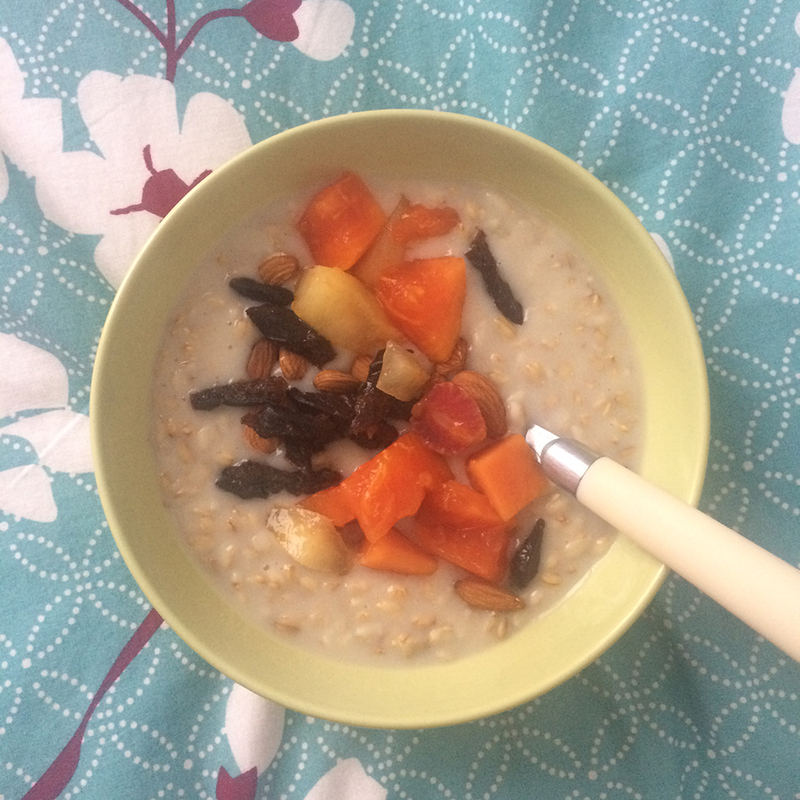 P.s did you know I have an entire recipe book dedicated to porridge recipes! Full colour ebook with over 50 creative recipes to inspire you!